Ooops! I think everyone has felt this way after a long night out on the town! 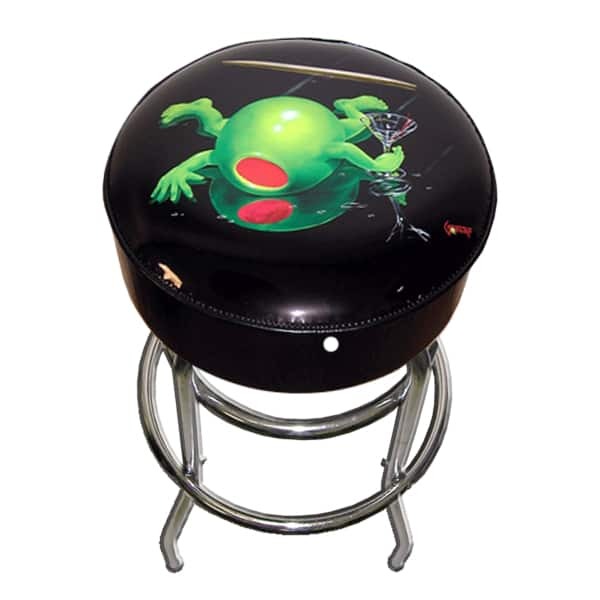 This Bar Stool features artwork by Michael Godard, the Rock Star of the Art World. Presenting a hilarious scene with one of Godard's olives, his favorite subject, face down after drinking a few martinis and tripping over a toothpick! But look on the bright side: at least the martini glass didn't break!